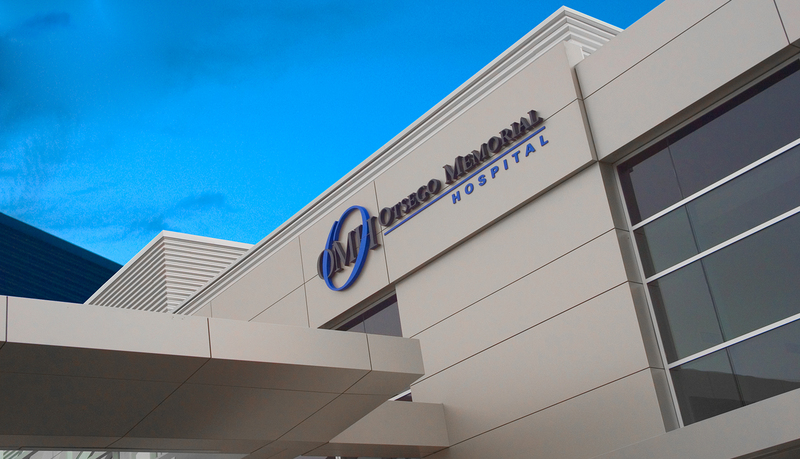 Otsego Memorial Hospital (OMH), an independent community hospital located in Gaylord, Michigan, provides quality healthcare to residents and visitors alike. 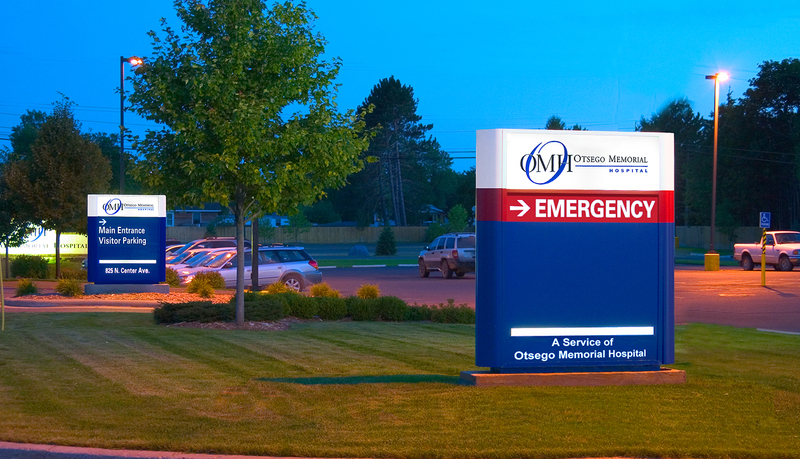 Otsego Memorial offers a modern 53-bed acute care hospital, a 34-bed long term care unit, a 24-hour emergency department, and OMH operates MedCare Walk-In Clinic, an urgent care center open seven days a week. 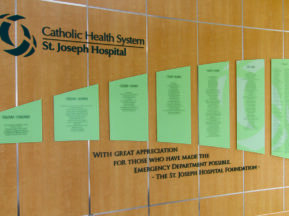 As part of grand design renovation to update the look of the hospital, OMH staff members recognized the need to update the signage as well. 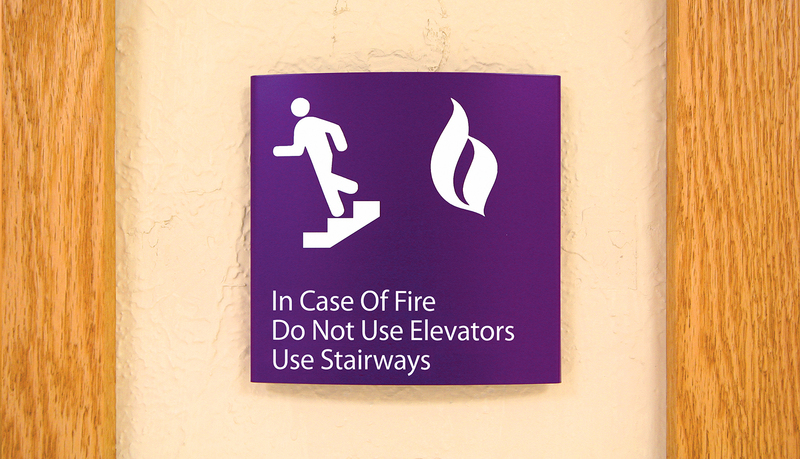 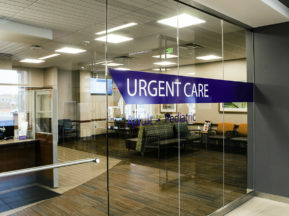 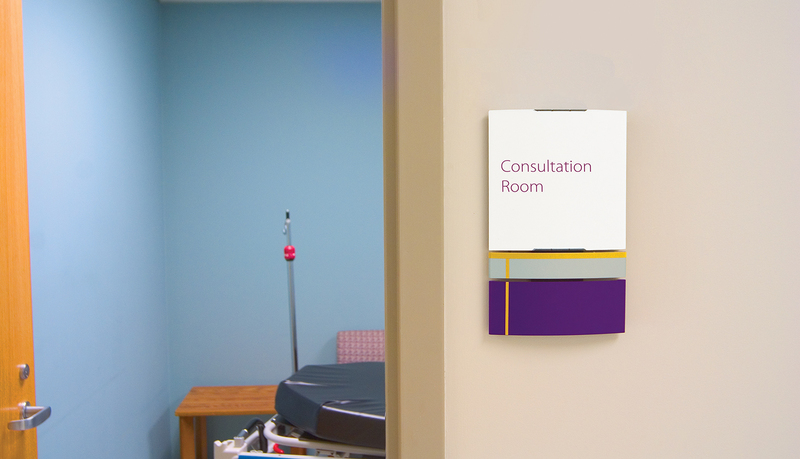 A flexible, durable solution was needed to allow facility staff to easily update signage in the event that departments or physician offices needed to be moved over the next decade. 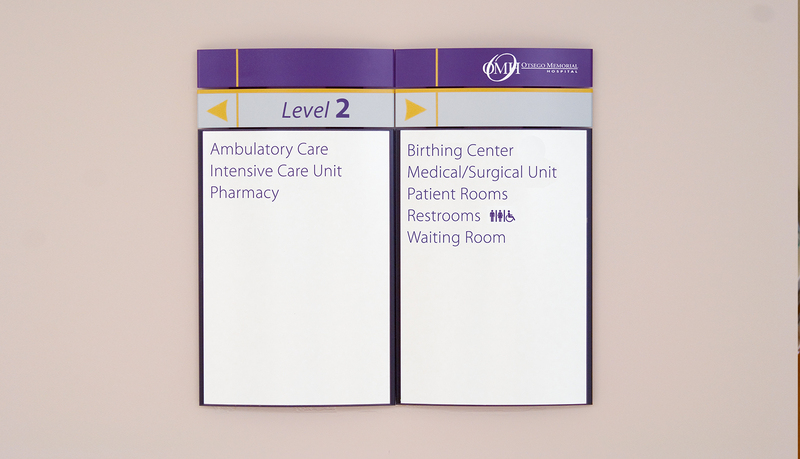 Also, an efficient and logical wayfinding solution was needed to effectively guide patients and visitors from the outside all the way through to their desired destination inside the expansive campus. 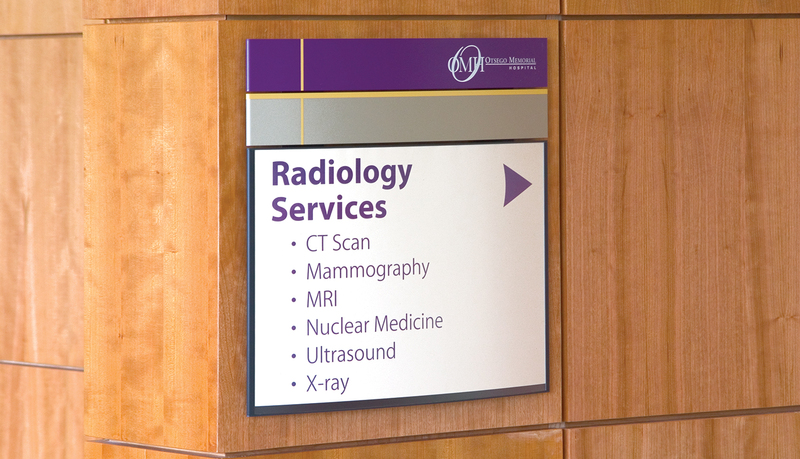 With the investment in an updated signage solution, an efficient and logical wayfinding solution which would guide patients and visitors from the outside all the way through to their desired destination inside the expansive campus needed to be created and implemented. 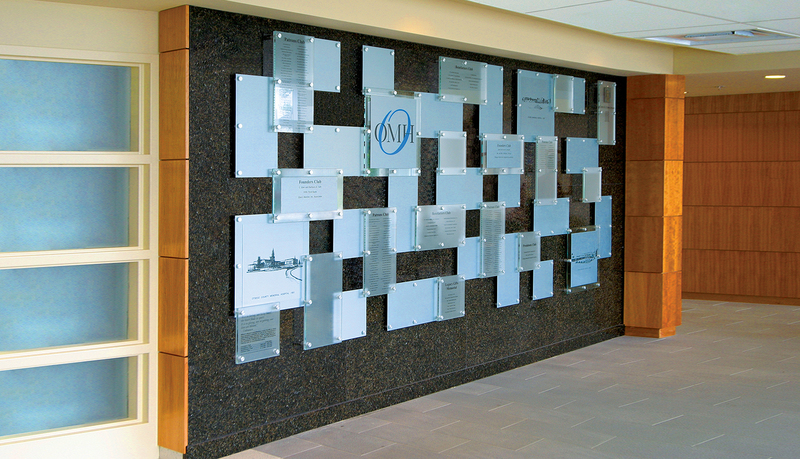 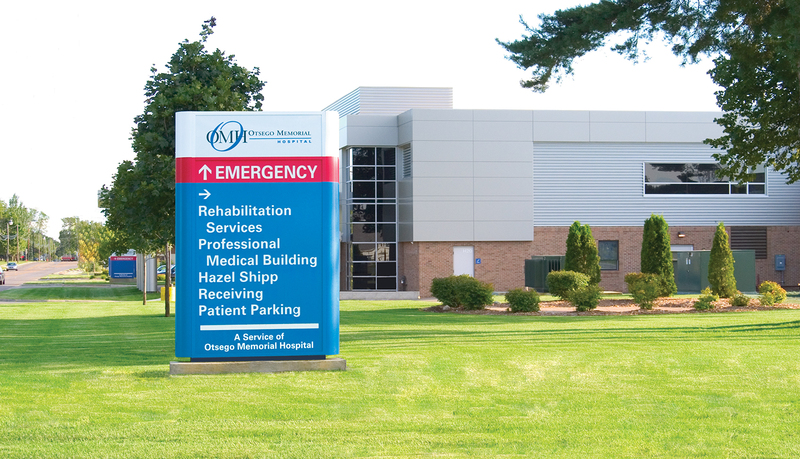 ASI designed, manufactured, and installed more than 15 custom aluminum external monuments with interior illumination at strategic entry points to help guide visitors and patients arriving at the hospital to their desired destination. 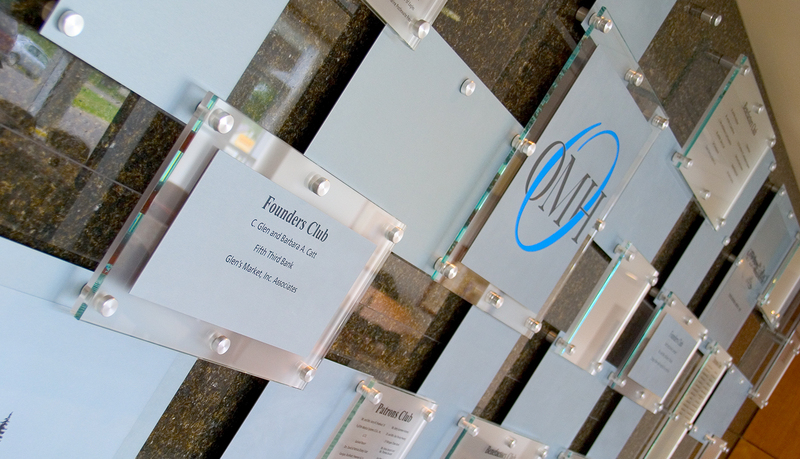 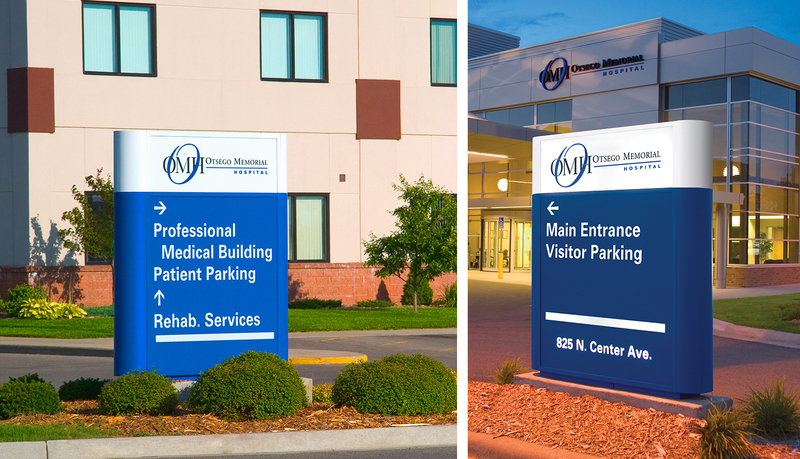 The illumination is enhanced by translucent white acrylic paneling and lettering which shines through the deep blue monument face, ensuring that critical directional information is visible day or night, no matter what the weather conditions may be. 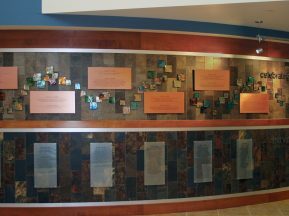 The primary interior signage solution for Otsego Memorial is Pacific Interior™, ASI’s elegant, curved-face modular signage system. 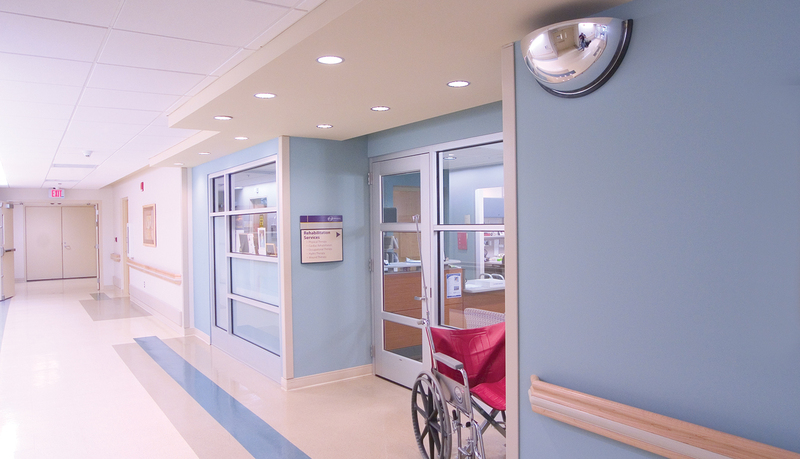 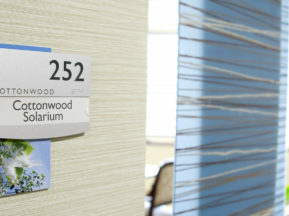 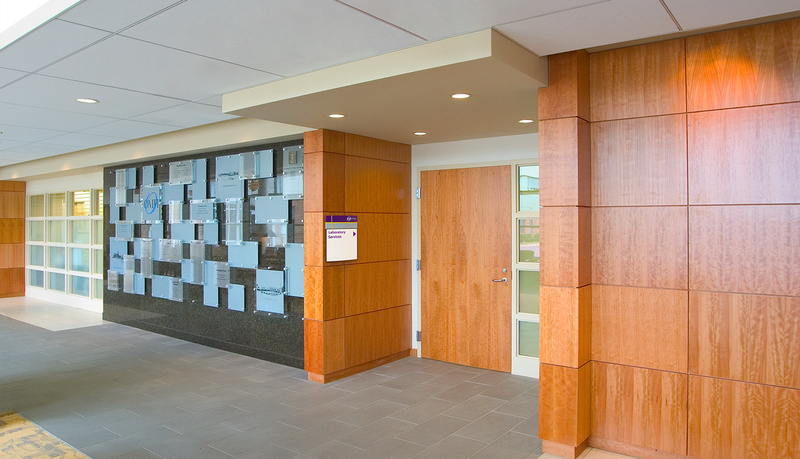 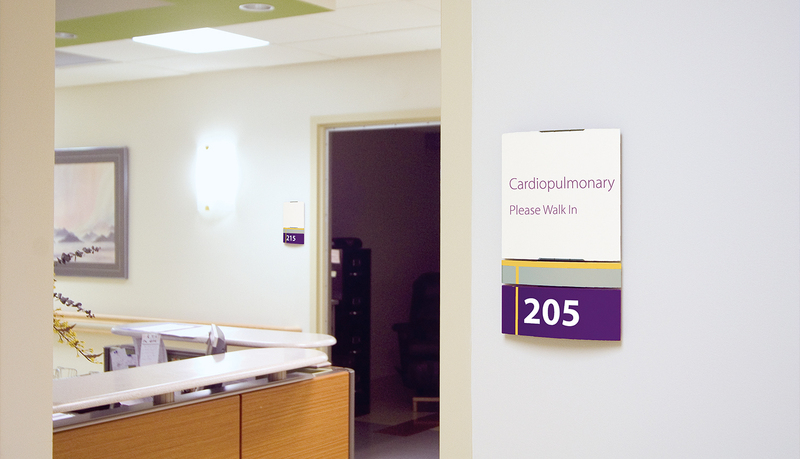 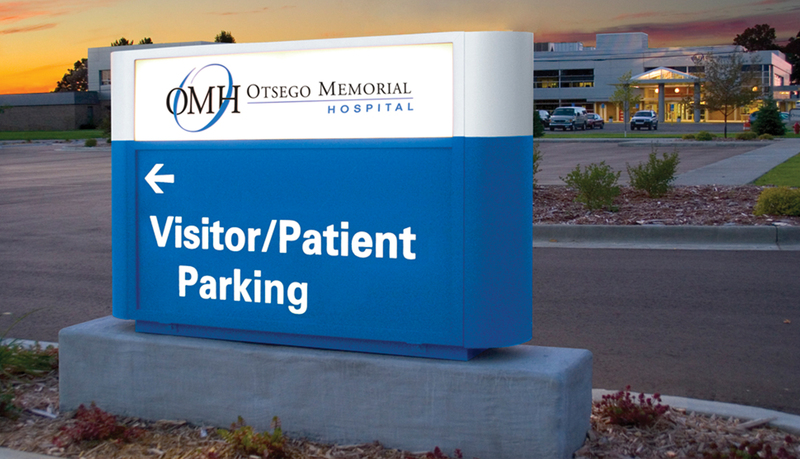 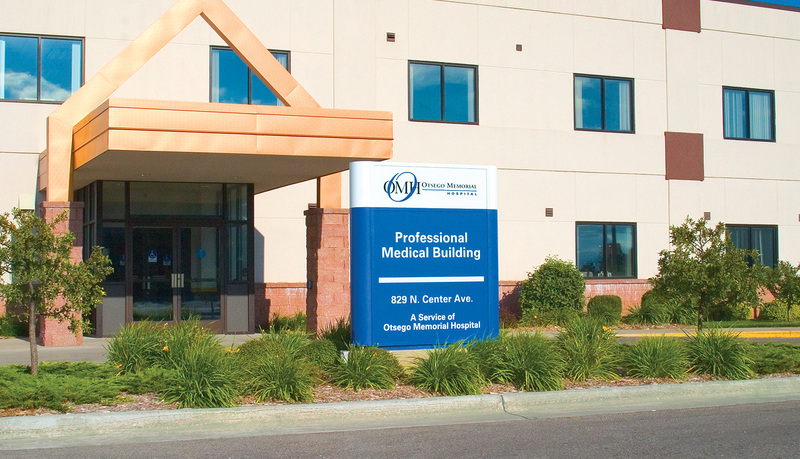 Pacific’s intelligent, modular construction and its unrivaled seven-year guarantee on parts means facility managers for Otsego Memorial Hospital can count on the interior signage solution to last for years to come.